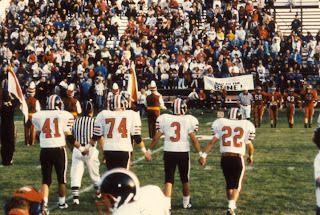 Orrville Red Rider Sports Blog: 2010 Football Captains...and a call to action. First things first...congrats to seniors Max Pirman, Derek Graber, Sam Reusser and Tre Simpson who have been named captains for the 2010 season. Before I found out, I figured Max would be a shoe-in captain, and figured Sam would be another good bet. I was hoping to hear Tre's name as well...and I guess Derek was the only one I hadn't thought of....and that's not any knock on him at all...just a knock on my terrible memory as of late. All four are very deserving of the honor.....which brings me to my next project....still involving Orrville captains. I'd like to compile a list of all-time Red Rider football captains, and publish the list right here. I have an old media guide from the 1980's that lists all the captains from way back when...but probably from the late 80's though the 2008 season, I'm going to need some help. So here's what I need from you, oh faithful reader. 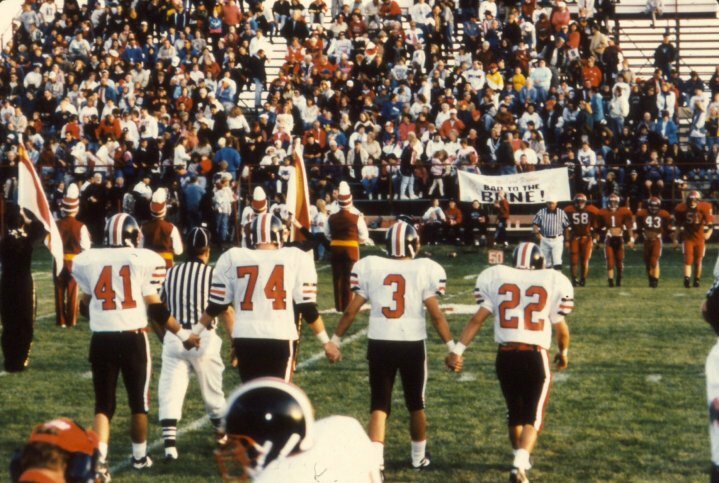 If you know the captains from any season of Orrville football between say 1985 and 2008, I need to hear from you. If you know of just one or two of the captains...that's fine....any informations helps. I'll dedicate a link at the top of the page for captains and update it regularly. You can leave your info in the comments section, e-mail me, comment through facebook, or even tweet at me. I'd love to have this list complete and posted by the start of football season (a scant month away...amazing isn't it?). But I wont come close to getting without your assistance. Those are the ones I'm sure of.